If you’ve decided that you’re ready to stop out-sourcing your notary needs and start fulfilling them in-house, then it’s time you became a notary in your state. If you currently live and practice in the state of Texas than the following information should give you a step-by-step guide on how to become a notary in Texas online towards what to do and what your expectations on each step would be. Your first step to become a licensed notary in the state of Texas is to meet the eligibility requirements. These requirements include being at least 18 years of age, having a clean criminal history – no felonies, as well as being a resident of the state. Second, you will need to complete and submit the notary application form properly to the Secretary of State. There will be a $21 filing fee as well as a $10,000 bond, if required. This is the highest level explanation available regarding how to become a notary in Texas online. Do not let any of the steps above frighten you as is actually a very simple process to complete. You simply can apply online through several trusted retailers. Our favorite service to use here at Eternal Notary is from the American Association of Notaries (AAN) at TexasNotary.com/notary. From here you will be able to receive over $130 in value through a one-time $79.95 application payment. 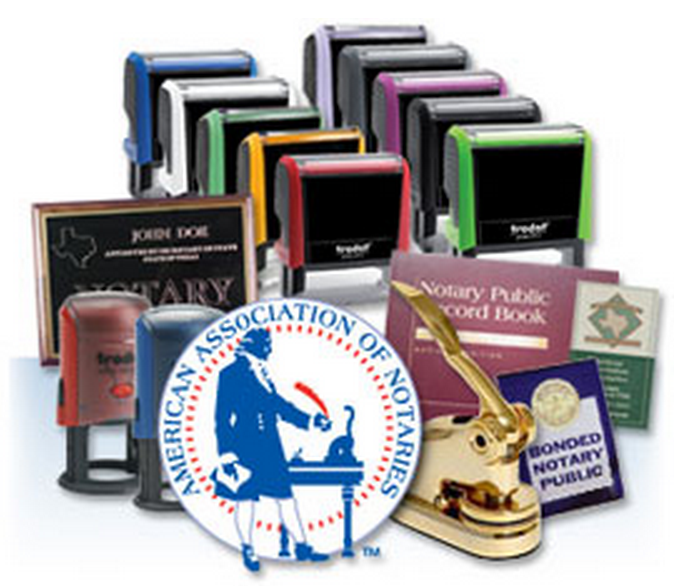 This bundle from the American Association of Notaries offers provides a four-year Texas Notary license, a state filing fee, a self-inking notary stamp available in ten colors, a notary record book, a notary public manual emailed in PDF format, a notary fee and display sign, as well as a one year membership to AAN. An AAN membership is usually $19 per year. Eternal Notary trusts the AAN because they’ve been an established organization in the notary industry since 2003, leading the way in online education of notaries in every state. Become a notary in Texas online thanks to their hard work. They’re responsible for the tens of thousands of more educated notaries in our public. If you’re looking for a mobile notary Dallas has trusted for many years now, give Eternal Notary a call today. When you finally order your own notary license and receive the stamp and seal embosser, here’s a quick tip or two on the notary embosser functionality.